The five-county Greater Cleveland area, with a population of more than 2 million, offers students — undergraduate and graduate — the chance to intern with a wide range of companies and organizations. Our partnerships with firms throughout northeast Ohio—from Fortune 500 companies to nonprofits to start-ups—along with a strong network of John Carroll alumni who own and operate businesses in Northeast Ohio, result in innovative internships for our students. All John Carroll University students are strongly encouraged to complete at least one internship. The Center for Career Services is here to help you define, redefine, and/or get started on that path by connecting you to opportunities and alumni, employers, and other mentors who can help you throughout your time at JCU. You should begin your search on Career Connection, our online system, which is updated daily with new employment opportunities. You can set up an internship search appointment with a Career Center staff member to develop an action plan for your search. We also encourage you to participate in career events and to take advantage of networking opportunities with employers and others willing to share important information on the job search. As a Boler student, you may complete internships for academic credit and the majority are paid. 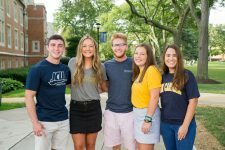 A unique professional year program that helps John Carroll education students prepare for and succeed in their student teaching. 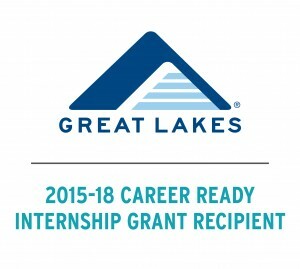 Paid internships through the Great Lakes Career Ready Internship Grant. A special partnership with the Cleveland Clinic that allows more than 20 of our students each year to intern in areas such as medical and scientific research, autism care, foreign language translation, healthcare information technology, public relations, web design, and more. Other internships with Cleveland city council members and government offices, the Cleveland Museum of Art, and other civic organizations. The NBC/John Carroll University Meet the Press Fellowship. The Fellowship is a nine-month (September to May) position at NBC’s Meet the Press, the number-one rated Sunday morning public affairs program and the longest running television program in the world. Hands-on learning is a vital part of a student’s education at John Carroll University. Internships enhance your classroom learning and increase your marketability to employers and graduate programs. By participating in an internship you are able to apply your classroom knowledge in a real world setting. You develop new skills, both technical and interpersonal, in addition to learning how to conduct yourself in a professional environment. For many, it is a confirmation of a correct career choice while others discover the need to explore alternative career options. You also build and/or expand your professional network.